TOP Year 2023 . 15 Mins Walk to MRT . This is a Review of The Hyde condo, a luxurious freehold retreat in the prime Balmoral area in District 10. The location is one of Singapore’s most exclusive residential neighbourhoods, a traditional preserve of heads of businesses, and local high net worth families and expatriates. 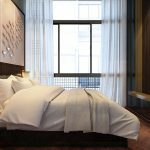 It is on the fringe of the Orchard Road shopping street, and close to the Central Business District (CBD). The stretch of Balmoral Road along which the Hyde condo is located offers unobstructed views to the lush greenery of Goodwood Hill. Not many homes in the heart of the city have the luxury of fronting such an expanse of open greenery. This is also in a quieter part of Balmoral Road, away from the main traffic of Stevens Road, but still within 1 km of Singapore Chinese Girls’ School and Anglo-Chinese School at Barker Road. There are a few clubs in the vicinity – Tanglin Club, The American Club and Raffles Town Club. 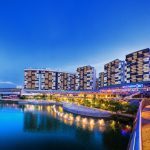 The Hyde will comprise around 100 apartments and is being developed by Aurum Land Limited, winner of the Best Boutique Developer (Singapore) award in 2015. The Hyde condo site is actually an amalgamation of two prime parcels of land. It comprises the former Balmoral Mansions 30,200 sq ft parcel at 11 Balmoral Road, and the Balmoral Gardens 36,752 sq ft plot at 11b Balmoral Road. Aurum Land bought both – Balmoral Mansions in end 2017, and Balmoral Gardens in early 2018 – to combine and redevelop as one project. This allows a good sized high-end development to be built, with greater scope for landscaping and provision of more facilities. The Hyde condo site also enjoys dual frontages, at the main Balmoral Road, and a side road. The sales of both parcels of land had 100% approval from their respective strata owners. Hence, Strata Titles Board’s approval for the sales were not required, and Aurum could take possession of the sites quickly. Aurum Land would then be able to build and market the new development without undue delay. The Hyde floor plans and design are pending approval from the relevant authorities. Kindly drop a note via the Contact Form if you would like to be kept posted on when the Hyde condo floor plans are ready. 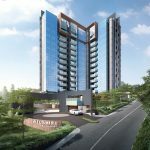 The Hyde Singapore will be a mid-rise development within the established private residential enclave of the Balmoral Road area, close to its Stevens Road end. It is about 3 minutes walk from Stevens Road, far enough to be away from the main traffic without sacrificing convenience. This land parcel enjoys dual road frontages. On the south-east is Balmoral Road, while a side lane wends its way around the west and north-west of the site. So it is a further distance from surrounding buildings than most developments here. 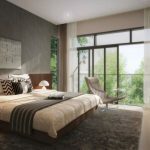 In addition, the Hyde condo units facing south and south-east will enjoy unblocked views across Balmoral Road to Goodwood Hill, a park-like area covered in mature trees interspersed with old colonial houses. 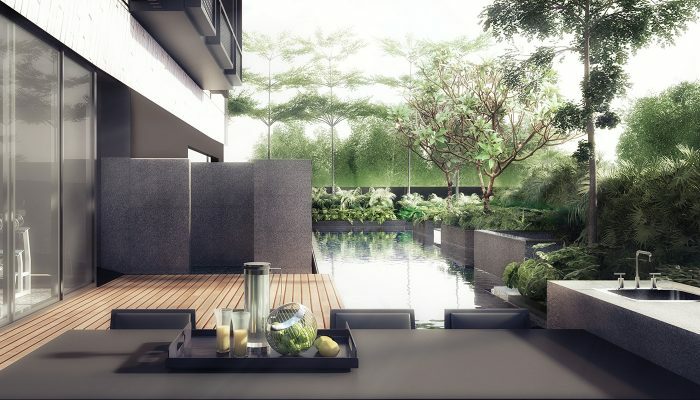 Lower floor units on this side will get lovely tree views, while high floor units will overlook the greenery to Orchard Road, and the city skyline in the distance. The Hyde showflat is not ready for viewing yet. Please let us know via the Contact Form if you wish to be kept posted when The Hyde condo showflat is scheduled to open. The Hyde prices have not been finalised yet. Kindly let us know via the Contact Form below if you wish to be kept posted when indicative pricing is available. While the Hyde condo price list is not known yet, we can work out its break even cost. 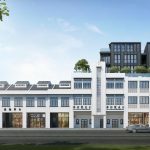 The land cost for the 30,200 sq ft 11 Balmoral Road was SGD$73.8 million, which together with a development charge of around $10.76 million, added up to SGD$84.56 million. 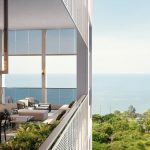 For 11b Balmoral Road, the 36,752 sq ft former Balmoral Gardens, the land cost was nearly $83 million, which together with a development charge of close to $23.6 million, came to a price tag of around $106.6 million. Under the Urban Redevelopment Authority’s 2014 Master Plan, both sites are zoned for residential use with a permissible plot ratio of 1.6 (which is the ratio of built up area vs land area). Given the total land costs plus development charge of $191.16 million for the combined 66,952 sq ft Hyde condo site, the land rate works out to around $1,784 per square foot per plot ratio (PSF PPR). After factoring in financing, overheads, development, and construction, the break even cost could come close to $2,600 PSF PPR. The Hyde condo selling price could be benchmarked against similar freehold launches in the vicinity. Such as for New Futura that has seen strong sales recently at an average of $3,500 PSF, and is now 70% sold. 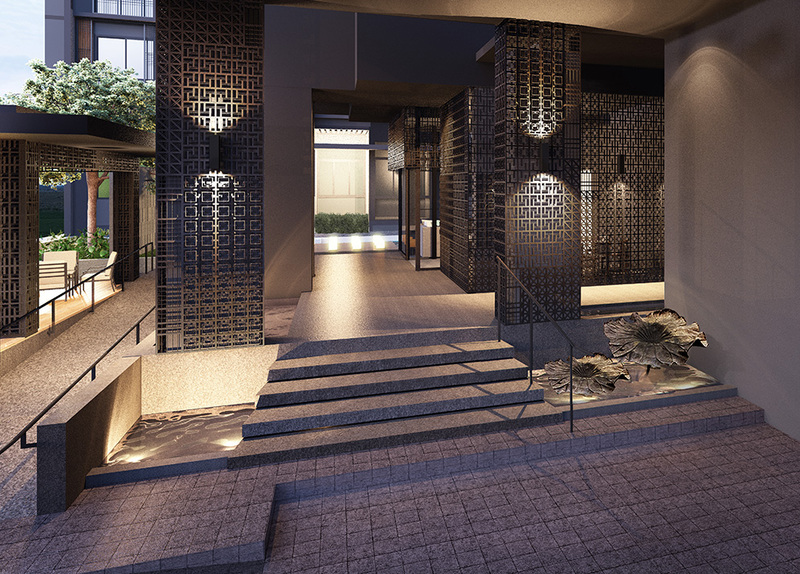 The Hyde Singapore is being developed by Aurum Land, the boutique development arm of the Woh Hup Group. Woh Hup (Private) Limited was incorporated in 1940 as a construction contractor. Over the years it has built up a solid reputation as a contractor of choice known for quality work, and has garnered more than 400 awards, including over 60 excellence awards. Today Woh Hup is one of Singapore’s largest privately owned construction and civil engineering specialists with a 2500 strong workforce. The company has helped construct much of Singapore’s skyline, including developments like Reflections, Leedon Residences, Ascott Orchard, The Interlace, and Nassim Park, MRT stations and office towers, commercial centres, schools, and iconic projects like Gardens by the Bay, and Jewel at Changi Airport. 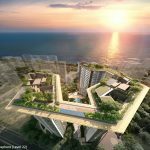 Aurum Land has completed 1919 at Mount Sophia, The Orient at Pasir Panjang, The Asana at Queens Road, and Three11 at Thomson. Location. The Hyde condo location is considered a prime and central location. It is along Balmoral Road, the Stevens Road end of which is at the doorstep of the upscale Orchard Road shopping district. Behind the Hyde location and stretching to Bukit Timah Road, is a long established private residential enclave. Shops, Hotels, Banks, F&B, Supermarkets. Within a 2km radius of the Hyde location is Orchard Road, mall after mall lining both sides. Everything is there – department stores and shops, banks, food courts, cafes, fast food joints, restaurants, hotels, a bustling night scene. Also within 2km, is the Novena area with United Square and Velocity shopping centres. Lifestyle & Nature. If you are looking for some peace and quiet and nature, the Singapore Botanic Gardens is also within a 2km radius of the Hyde condo location. This is a pleasant green sanctuary in the heart of the city, and no less than a UNESCO World Heritage site. Schools. Bukit Timah is known as an education belt. It has probably the greatest number of highly regarded educational institutions strung along its length. Like Anglo-Chinese School (Barker Road), Singapore Chinese Girls’ School, the National University of Singapore (Bukit Timah Campus), Hwa Chong Institution, National Junior College, Nanyang and Raffles Girls’ schools, and the UBS Business University. Both the Anglo-Chinese School and Singapore Chinese Girls’ School are within 1km radius of the Hyde condo location, which is ideal for families with young children. Nearest MRT Station. 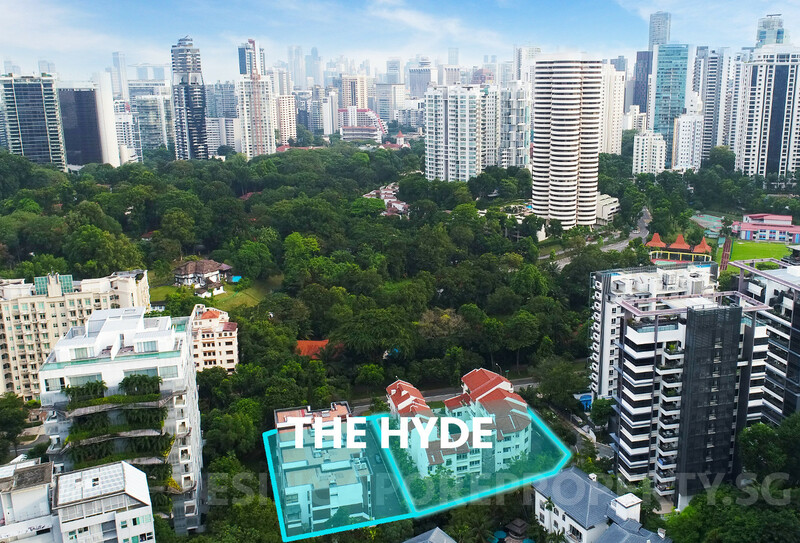 The Hyde location is around 980m by road, or 15 minutes walk, from Newton MRT station. This is an interchange station, serving both the North-South line that passes Orchard Road, as well as the Downtown line that passes the Marina Bay Financial District. Accessibility. 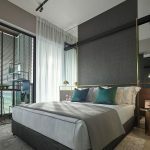 Besides being a 5 minute drive from Orchard Road, and roughly 15 minutes from the Central Business District, the Hyde condo location is well placed for quick access to the expressways. It takes around 10 minutes to get onto either the Pan Island Expressway (PIE) or the Central Expressway (CTE).